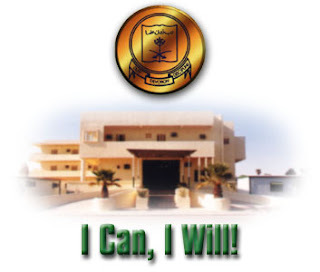 Pakistan International School Riyadh (PISR) was established in 1968 as an International School under the Royal permission of the King Faisal Bin Abdul Aziz Al-Saud (Late) of KSA. Pakistan International School, Riyadh (PISR) located in Al-Nasiriyah District of Riyadh, Saudi Arabia. Initially Pakistan International School was established Pakistan Army but in 1988 it was taken over by Pakistan Embassy at Riyadh. Pakistan International School Riyadh offers classes from K.G. (Kindergarten) to Intermediate. Pakistan International School Riyadh is affiliated with Federal Board of Intermediate and Secondary Education Islamabad, Pakistan. Main Objective of establishing this school was to provide best possible education to Pakistani Children residing in Riyadh. Pakistan International School Riyadh is being run by a Board of Governors which is headed by Ambassador of Pakistan at Riyadh. Principal is the In-charge of Pakistan International School Riyadh while there are seven wings of Pakistan International School Riyadh each headed by an individual Headmaster/Headmistress. Also visit: "How to get Admission in Daanish School"
Campus of Pakistan International School Riyadh is extended over an area of a radius of half kilometer. Pakistan International School Riyadh has seven separate wings. Principal and Administration Building is separate from school wings. Your English reflects that you have studied in this school. And I hope you will get the job in this school very soon. this is a seriously weird school, they call it english medium but it is urdu medium. hello i want job in pakistan international school riyadh and i need ur e-mail address to send my C.V. i had a 3 years experience of teaching in PAkistan n i had done M.phil from Quaid-e-Azam university Islamabad. I want A Job In Pakistan International Embassy School as a teacher to teach junior classes teacher.I can teach Islamiat,English and urdu to junior Classes.My Cv Is Following. Qualifications Masters In Islamic Studies And BLS In Library Science. i did my master in islamic studies and arabic, english in progress. i hv agood knowledge of english grammer and fluently speak. i want job in embassy school. I possess a hard-working ethic in pursuit of excellence, superior organizational and managerial skills, and team building talents, resulting in high goal attainment. You will find a solid background. I believe this background provides the necessary experience you require. I would welcome the opportunity to speak with you in person about my career possibilities. Thank you for your time and consideration. DEAR SIR, i want a job in pakistani international embassy school in riyadh as a teacher to teach junior classes teacher i can teach english and urdu junior classes, my Qualification B.com,and LLB .i can speak.Read and write english and urdu . where i can post my CV. i live in Riyyadh KSA my cell no.0544151713 my e mail .... ,(irtaza_khan1@yahoo.com).. thanks contect # 05441517143,,,sincerly . IRTIZA KHAN. if you have any vacancy in school admin department please inform me..i m interested to doing this job as well as teaching small classes...i hve done B.B.A.this is my id (aansanaqvi@yahoo.com)please let me inform if you have oppurnity..i have no experience,everyone asks about expereince,without giving me any chance how can i get experience...please help me..
Job in Pakistan International School Riyadh all depends on references. I first applied in this school without any references, they just neglected my applications and CV. I called them and they neglected me as im rubbish, their attitudes above their heads. Than i used my references and they immediately called me for interview and moreover offered me a good package. I decided to remain unemployed than getting job on unfair basis. I just hate this community where there is favouritism among Punjabi, Muhajir, Pathan, Sindhi. rubbish minds!!! And they are asking for INQALAB, do you know the meaning of INQALAB, Stupid management..Allah ham sab ko Naiki or seedhay rastay per chalne ki Hidayat ata farmaye, Aameen. I am still jobless because i have choosed a straight path and havent used any references for getting a good job. But i know Allah has a great reward for me in return.